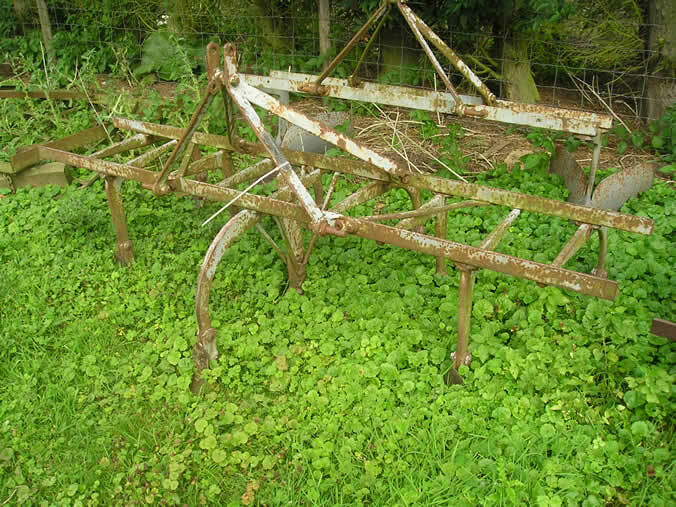 This 9 leg cultivator spent its working life on a large local garden, where It was purchased from expert restorer Brian Leach. It was fitted with a spring tine attachment for seedbed preperation, this is now removed due to the size of the area we have to work. The points are 'as new', and is in good original condition. 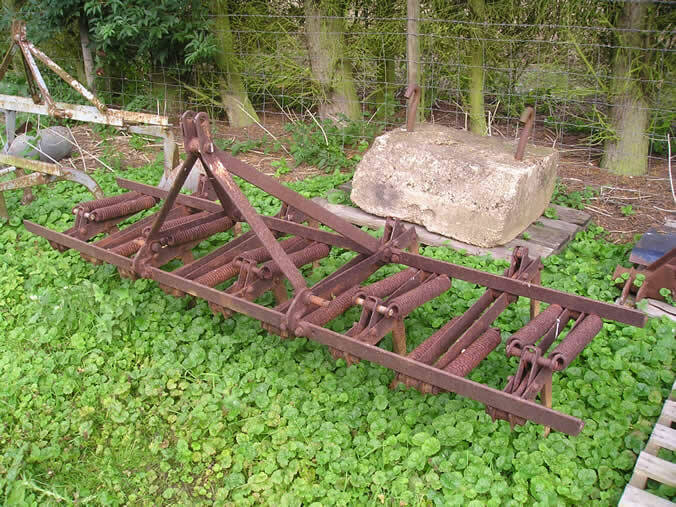 We came across this Tiller when collecting the Ferguson Wheel Girdles, and a deal was struck. Despite its very rusty appearance, it is complete (except for the brass badge) and will go straight to work. In the near future the front tines will need turning. In the autumn we will post some pictures of the tiller in action. The collection now includes two examples of this popular implement. 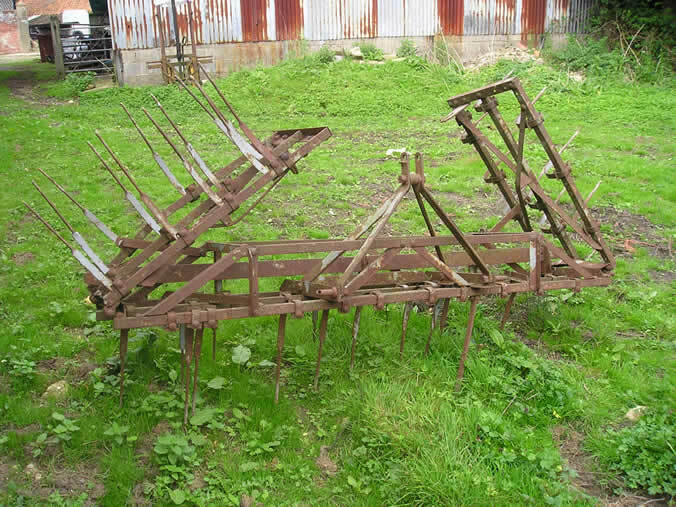 This implement is in good original condition, and was purchased recently from Cambridgeshire. It is however, missing quite a few of the tines, which will need replacing in due course, but still has the other commonly lost pieces including the stand and locking pin. 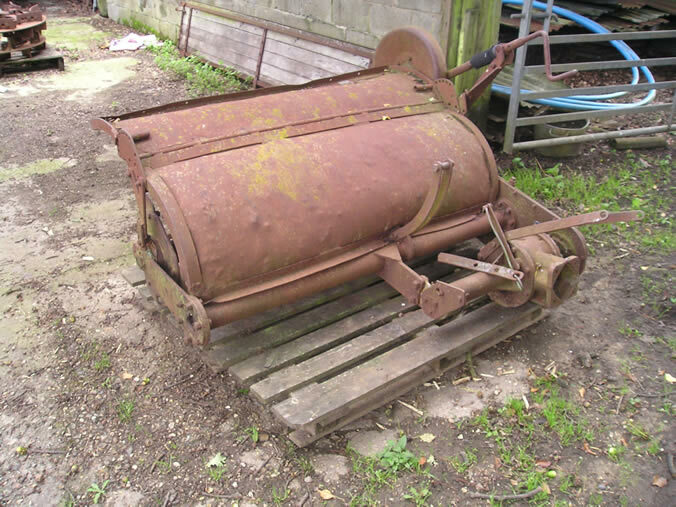 This rare implement was purchased from the same holding as Tamkin steel wheels and was manufactured to fit the Ferguson tractor by Howard. It is in need of restoration but with a little time would make a good working example. It may be offered for sale in the near future.